Life in the Roaring Twenties was very colourful indeed. 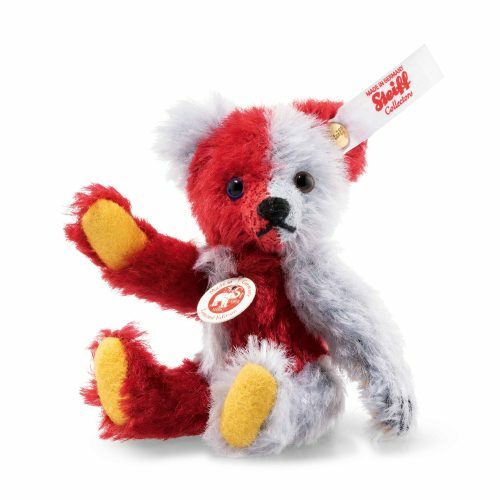 As were Steiff’s Teddy bears: 1925 saw the tricolour Harlekin make an illustrious appearance in fiery red and cool blue. 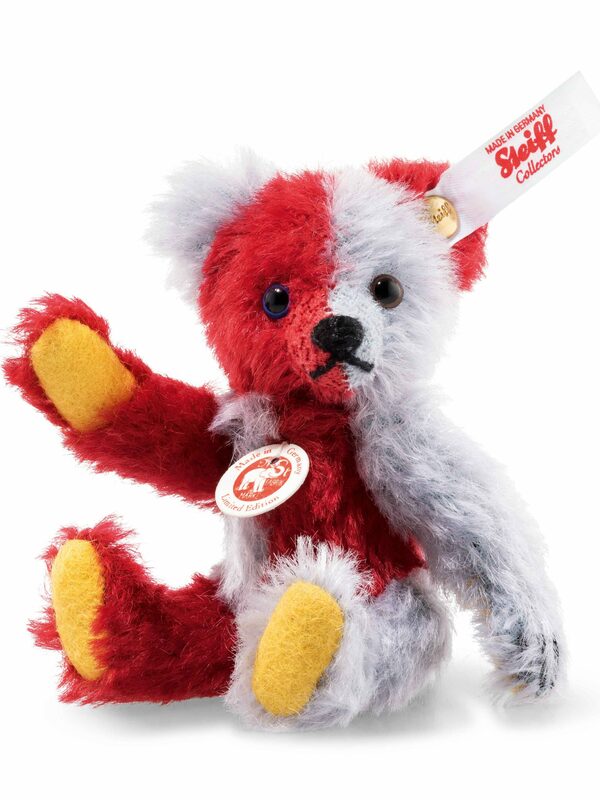 Following this, no further bears of this kind were produced for a long time – which is all the more reason for Steiff to bring him back in miniature form, wonderfully unconventional and with his trademark yellow soles and paws. Mini Harlekin has one brown and black eye and one blue and black eye, is made from mohair and fully jointed.